The Dave Skrenek party from Alberta, CAN caught a 45 LB. WAHOO. It was caught on the rigged bait. 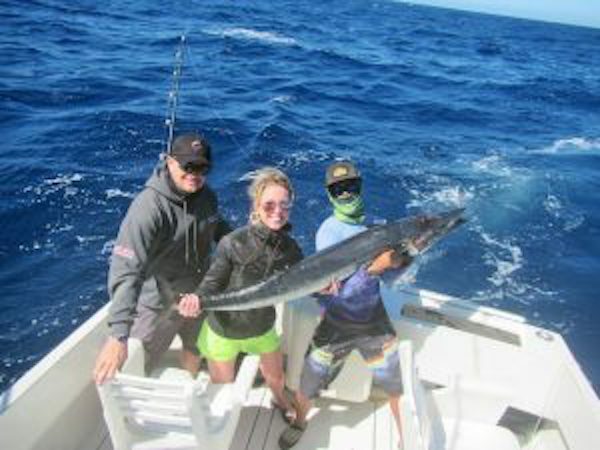 The fish was caught 18 miles from Cabo. The water temp. was 69-71 degrees. Wahoo.us © 2019. All Rights Reserved.